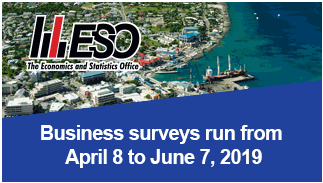 The Economics and Statistics Office will commence its annual business surveys for measuring the economic performance of industries in the Cayman Islands for 2018. The survey will begin on April 8, 2019. Survey forms will be hand-delivered, mailed or emailed to all entities that produce goods and services in the Cayman Islands. The surveys seek to gather data for the System of National Accounts (SNA), which estimates the total value of goods and services produced by the different industries in the Cayman Islands. It will also gather data for the Balance of Payments (BOP) which measures total payment of residents to and receipts from the rest of the world. All survey returns are confidential as mandated by the Statistics Law and are exempt from the Freedom of Information (FOI) Law. The survey returns will be used exclusively for ESO’s statistical purpose. ESO officials emphasize that the survey results will be published in aggregate form only, with all individual information remaining confidential. All survey respondents will be required to return a completed form by the survey deadline June 7th, 2019. ESO staff will be available to assist entities in completing the forms. Survey forms and other information can also be found on the website at www.eso.ky, or may be requested by contacting 244-4679 or 244-4600.